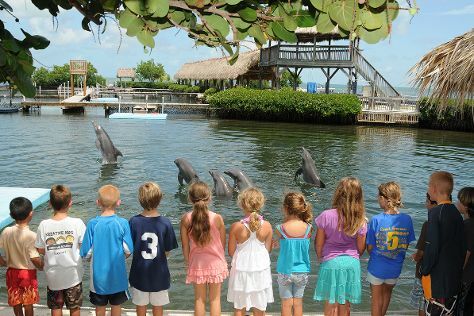 Take a break from the city and head to Dolphin Research Center and The Turtle Hospital. Explore hidden gems such as Sombrero Beach and Seven Mile Bridge. Change things up with a short trip to Fishing Charters & Tours in Islamorada (about 38 minutes away). There's lots more to do: look for all kinds of wild species at Crane Point Museum & Nature Center, admire the majestic nature at Bahia Honda State Park, and take in the architecture and atmosphere at San Pablo Catholic Church. To see other places to visit, traveler tips, ratings, and more tourist information, you can read our Marathon online trip builder . Stockholm, Sweden to Marathon is an approximately 14.5-hour combination of flight and shuttle. You can also do a combination of flight and bus; or do a combination of train, flight, and shuttle. Due to the time zone difference, you'll gain 6 hours traveling from Stockholm to Marathon. Traveling from Stockholm in February, things will get warmer in Marathon: highs are around 30°C and lows about 23°C. Wrap up your sightseeing on the 13th (Wed) early enough to take a bus to Key West. Satisfy your inner culture vulture at Key West Lighthouse and Keeper's Quarters Museum and U.S. Coast Guard Cutter Ingham Maritime Museum. Get outdoors at Stand-Up Paddleboarding and Dolphin & Whale Watching. Spend the 15th (Fri) exploring nature at Dry Tortugas National Park. There's much more to do: see what you can catch with a fishing tour, admire the majestic nature at Fort Zachary Taylor, contemplate the long history of Truman Little White House, and admire all the interesting features of The Overseas Highway. For reviews, photos, and tourist information, read our Key West visit planning website . Getting from Marathon to Key West by bus takes about 1.5 hours. Other options: drive. In February in Key West, expect temperatures between 30°C during the day and 23°C at night. Cap off your sightseeing on the 17th (Sun) early enough to travel to Naples. Naples is a city in Collier County, Florida, United States. Take a break from the city and head to Fishing Charters & Tours and Kirby Storter Roadside Park. You'll discover tucked-away gems like Waterskiing & Jetskiing and Stand-Up Paddleboarding. Change things up with a short trip to Speed Boats Tours in Everglades City (about 1h 05 min away). Next up on the itinerary: see majestic marine mammals with a dolphin and whale watching tour. To see where to stay, traveler tips, other places to visit, and tourist information, go to the Naples trip itinerary builder website . Traveling by ferry from Key West to Naples takes 3 hours. Alternatively, you can drive; or take a bus. Traveling from Key West in February, you can expect nighttime temperatures to be a bit cooler in Naples, with lows of 18°C. Cap off your sightseeing on the 20th (Wed) early enough to travel to Sedona. Explore hidden gems such as Walnut Canyon National Monument and Devil's Bridge Trail. Get in touch with nature at Oak Creek Canyon and Cathedral Rock. There's more to do: take in the dramatic natural features at Bell Rock and take a memorable drive along Red Rock Scenic Byway (SR 179). To find other places to visit, more things to do, maps, and other tourist information, refer to the Sedona trip itinerary planner . Traveling by combination of bus, flight, and taxi from Naples to Sedona takes 10.5 hours. Alternatively, you can do a combination of bus, flight, and shuttle; or drive. You'll gain 2 hours traveling from Naples to Sedona due to the time zone difference. Prepare for a bit cooler weather when traveling from Naples in February: high temperatures in Sedona hover around 18°C and lows are around 5°C. Finish your sightseeing early on the 23rd (Sat) to allow enough time to travel to Kailua-Kona. Explore hidden gems such as Fishing Charters & Tours and Saddle Road. Visiting Pu'uhonua O Honaunau National Historical Park and Rainbow Falls will get you outdoors. Venture out of the city with trips to Puukohola National Historic Park (in Kawaihae), Hapuna Beach State Recreation Area (in Puako) and Akaka Falls State Park (in Hilo). And it doesn't end there: look for all kinds of wild species at Living Ocean Adventures, explore the galleries of Kona Coffee Living History Farm, and get interesting insight from Tours. To find other places to visit, more things to do, photos, and tourist information, read Kailua-Kona road trip site . Getting from Sedona to Kailua-Kona by combination of shuttle and flight takes about 12 hours. Other options: fly; or do a combination of taxi and flight. Traveling from Sedona to Kailua-Kona, you'll gain 3 hours due to the time zone difference. Prepare for much hotter weather when traveling from Sedona in February: high temperatures in Kailua-Kona hover around 32°C and lows are around 24°C. Wrap up your sightseeing on the 27th (Wed) early enough to travel to Lahaina. Get a sense of the local culture at Lahaina Front Street and Maui On Metal. Step off the beaten path and head to Stand-Up Paddleboarding and Kalepolepo Beach Park. Step out of Lahaina with an excursion to Scuba & Snorkeling in Kihei--about 40 minutes away. The adventure continues: get interesting insight from Tours, don't miss a visit to Lahaina Banyan Court, and kick your exploration up a notch at some of the top local zipline courses and adventure parks. To find where to stay, maps, photos, and tourist information, refer to the Lahaina trip planning tool . Fly from Kailua-Kona to Lahaina in 4 hours. Alternatively, you can do a combination of flight and bus; or do a combination of bus and flight. February in Lahaina sees daily highs of 30°C and lows of 22°C at night. Finish your sightseeing early on the 2nd (Sat) to allow enough time to travel to Honolulu. Satisfy your inner culture vulture at Makapuu Lighthouse Trail and Iolani Palace. Get outdoors at Shark Diving and Lanikai Beach. Explore the numerous day-trip ideas around Honolulu: Waianae (Ka'ena Point State Park & Swim with Dolphins) and Banzai Pipeline (in Pupukea). The adventure continues: hike along Koko Crater Railway Trail, examine the collection at USS Bowfin Submarine Museum & Park, see the vivid underwater world at Pele's Chair, and stroll the grounds of National Memorial Cemetery of the Pacific. To find more things to do, other places to visit, ratings, and tourist information, go to the Honolulu online trip itinerary maker . Getting from Lahaina to Honolulu by flight takes about 3.5 hours. Other options: do a combination of ferry and flight; or do a combination of bus and flight. In March, daytime highs in Honolulu are 32°C, while nighttime lows are 23°C. On the 9th (Sat), you'll have the morning to explore before heading back home.